Jessica Berg is Dean and Tom J.E. and Bette Lou Walker Professor of Law. She also a Professor of Bioethics and Professor of Public Health, with a joint appointment in Case Western Reserve University’s School of Medicine. She received both her B.A. and J.D., with honors, from Cornell University where she was a notes editor of the Cornell Law Review. She received her MPH from Case Western Reserve University Medical School. Ms. Berg joined the faculty at Case Western Reserve in 1999 after serving as the Director of Academic Affairs of the Institute for Ethics, and Secretary of the Council on Ethical and Judicial Affairs for the American Medical Association. While in Chicago, she also taught courses at the University of Chicago Law School and Northwestern University Law School. Before that, she was a Visiting Professor at Michigan State Medical School, a Scholar in Excellence at the University of Massachusetts Medical School, and a Fellow at both the Center for Biomedical Ethics and the Institute for Law, Psychiatry and Public Policy at the University of Virginia. Ms. Berg teaches Health Policy, Food and Drug Law, Public Health Law and Ethics, Bioethics and Law, and Research Regulation. She is first author on a book published by Oxford University Press entitled “Informed Consent: Legal Theory and Clinical Practice” and has over 50 publications, spanning a variety of areas including public health, medical decision-making, research with human subjects, confidentiality, reproductive law and ethics, genetic enhancement, end-of-life care, professionalism, and e-medicine. 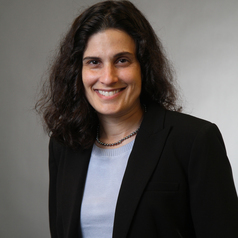 Ms. Berg was the legal consultant for the American Academy of Pediatrics Committee on Bioethics from 2007-2013. She works with a number of professional medical organizations and Institutes within NIH. In 2008 Ms. Berg was named “Health Policy Researcher of the Year” by the Health Policy Institute of Ohio, and in 2009 she received the Mather Spotlight Award for Excellence in Research. She was appointed the inaugural Oliver C. Schroeder Jr., Distinguished Research Scholar in 2012. In November 2013 she was appointed Dean of the Law School, along with Professor Michael Scharf.